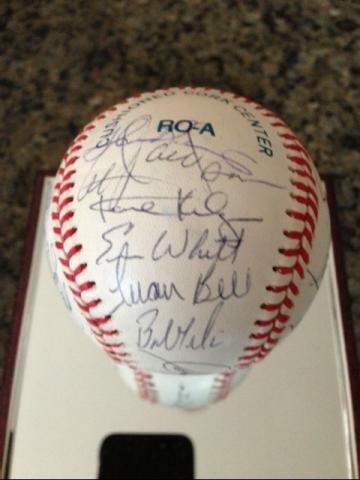 This is an Official AL Baseball (Bobby Brown), signed by 28 members of the 1991 Baltimore Orioles -- including AL MVP Cal Ripken Jr.. This ball comes with a signature worksheet to help identify the players' names on the ball and a Full Letter of Authenticity from James Spence Authentication. 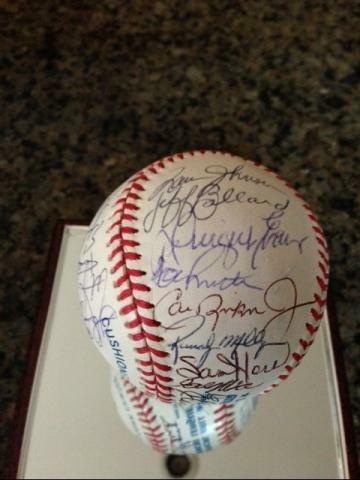 This is a piece of team history that every fan and any collector of Championship Team memorabilia will want for their own. Get this one today. Due to the singular nature of this offer we must charge your credit card for the full amount immediately upon taking your order. This policy ensures we reserve this ball for you. We will confirm your order by Email. This ball is not game used. Please allow at least 2 weeks for delivery.